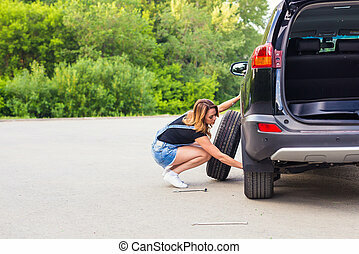 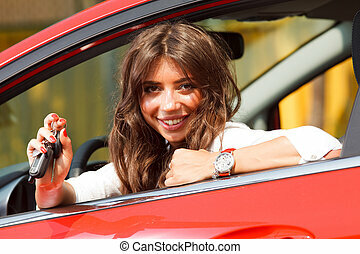 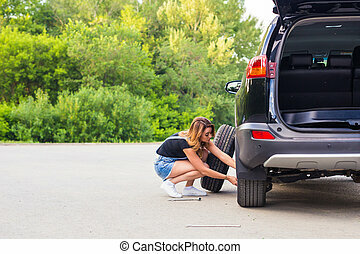 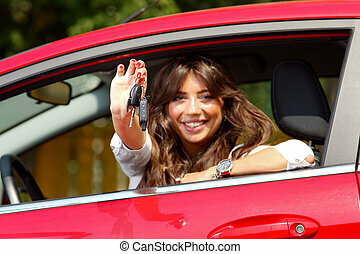 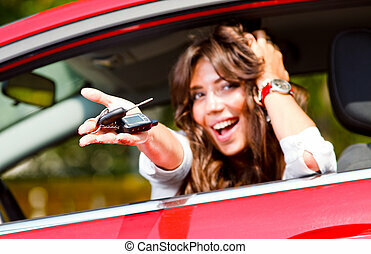 Beautiful woman has problem with the car. 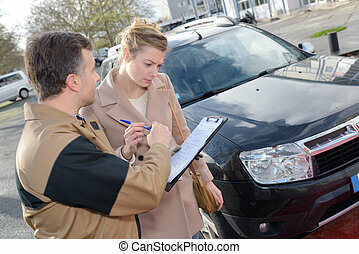 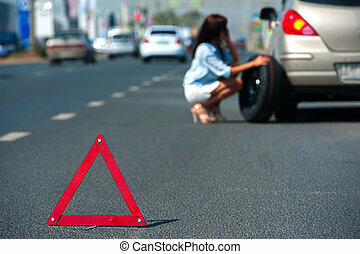 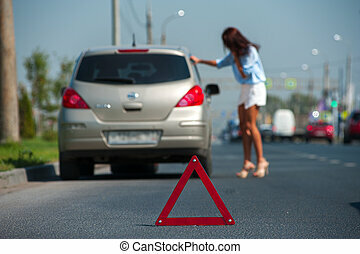 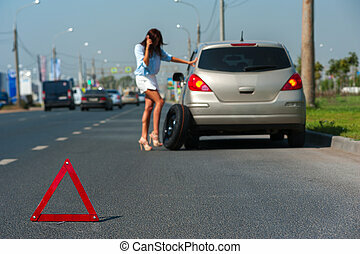 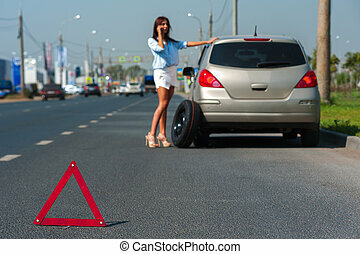 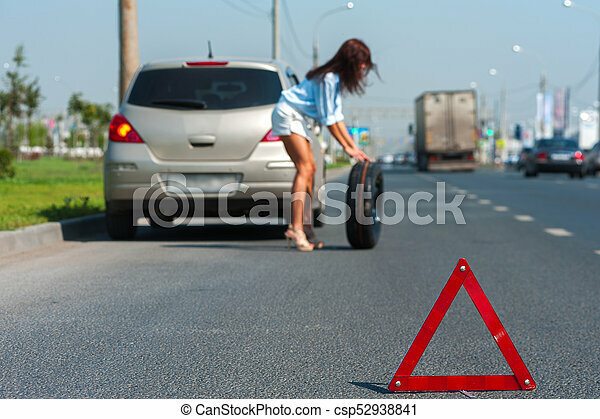 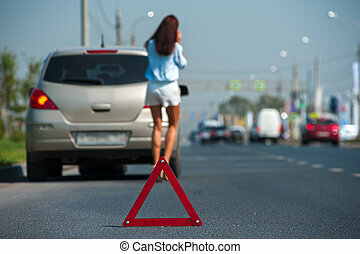 Red triangle - emergency stop sign on the background of blurry woman - driver having problem with broken wheel. 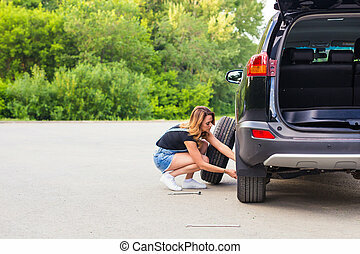 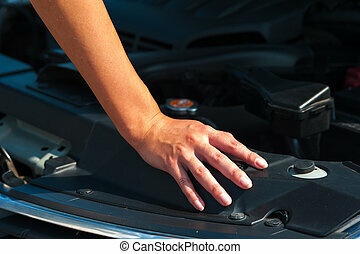 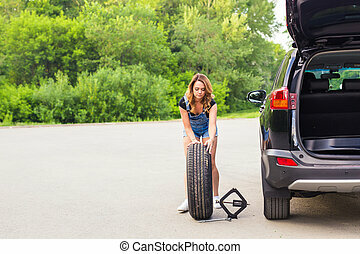 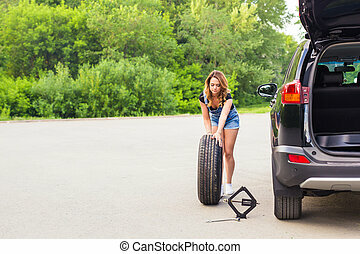 beautiful young pretty woman repairing the car. 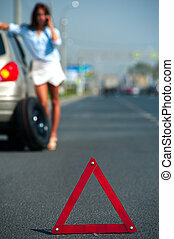 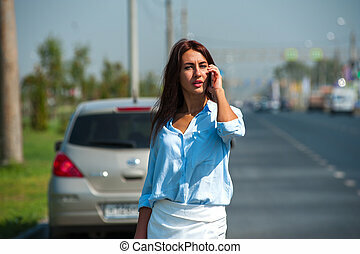 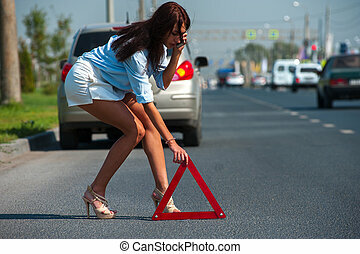 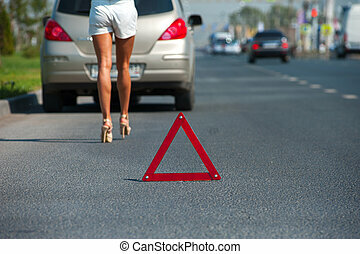 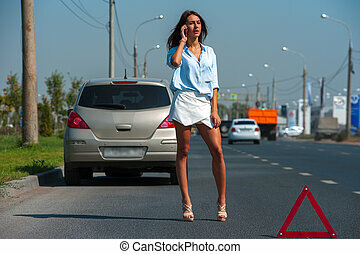 Red triangle - emergency stop sign on the background of blurry woman having troubles with her car on the highway.